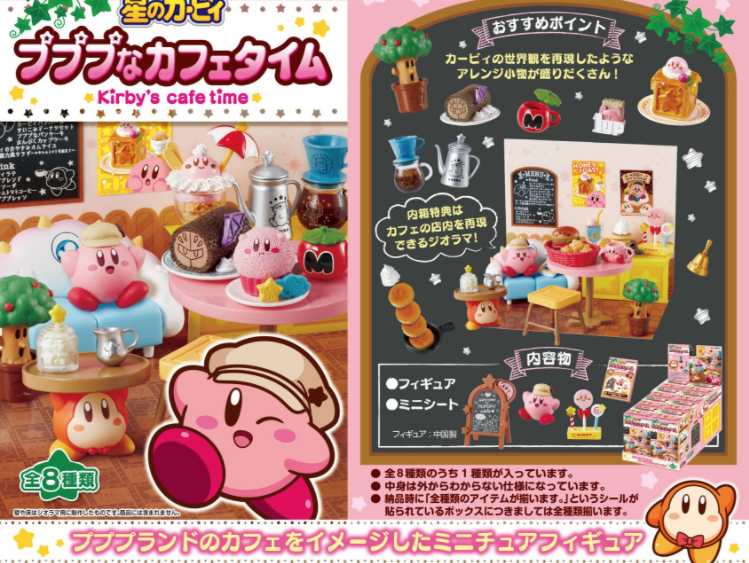 Candy toy maker Rement has released a new image featuring the Kirby Cafe Time collection. The Kirby Cafe Time collection launches on December 11, 2017 in Japan. 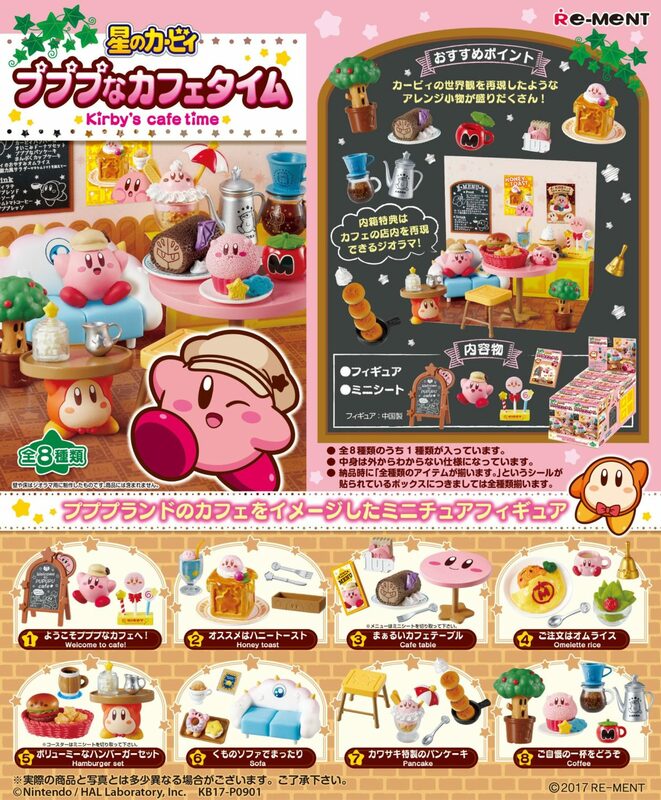 It comes with 8 boxes of figurines which, when completed, will form a full “Kirby Cafe”. Each box contains a soda candy sweet. The full image can be found below. If you’re interested, the Kirby Cafe Time collection is up for pre-order on Amazon Japan here (eligible for international shipping).